Weather Humid throughout the day and partly cloudy starting tonight, continuing until tomorrow morning. 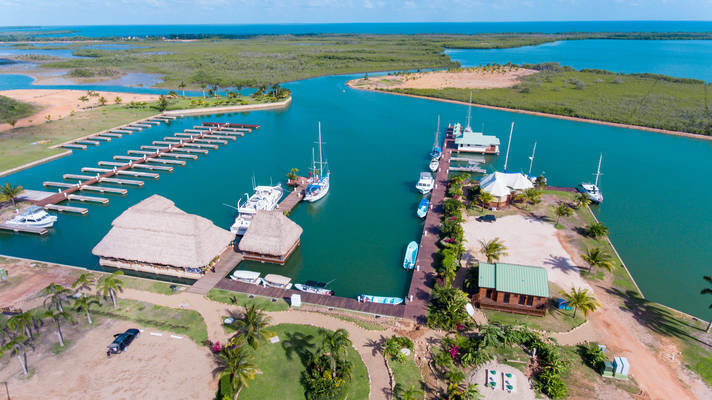 The Marina at The Reserve is heralded as one of the premier yacht marinas in all of the Caribbean, located approximately 10 to 20 nautical miles from the Belize Barrier Reef in southern Belize. 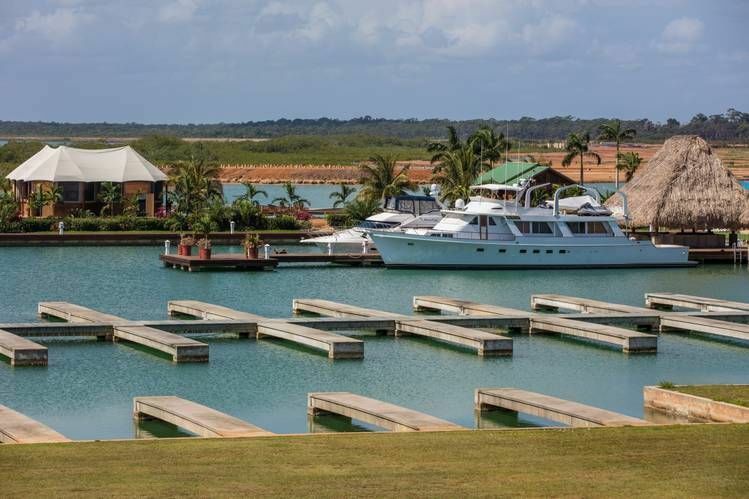 It is uniquely situated behind the well protected Sapodilla Lagoon, which is considered by many to be the safest natural harbor in the region. 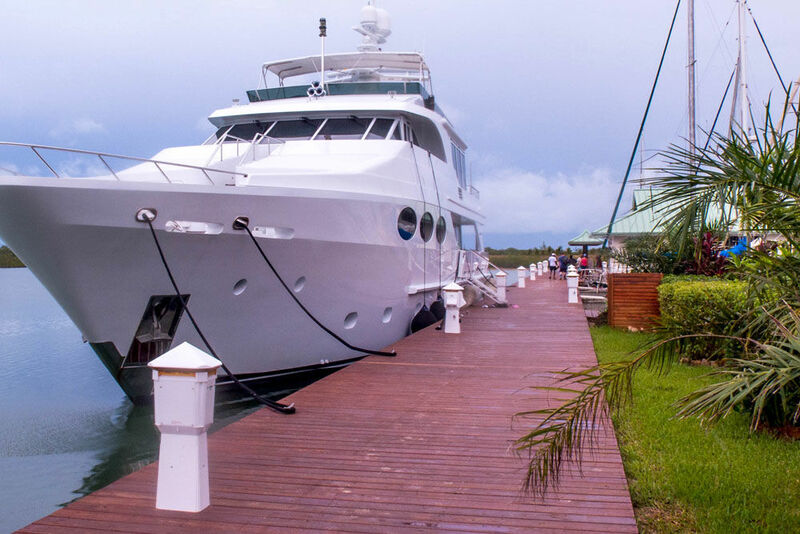 Our breathtaking tropical location is also well known among avid captains, travelers, outdoorsmen and sports fishermen as a mecca for outdoor activities and pristine natural beauty. 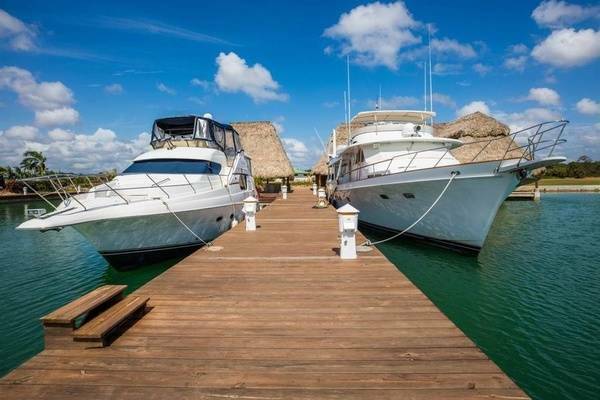 The Marina is a short cruise from the magnificence of the Belize Barrier Reef, offering a plethora of maritime adventures including scuba diving, snorkeling, kayaking and competitive sport fishing. The uncharted terrain of the mysterious evergreen Belizean jungles creeping over the foothills of the majestic Maya Mountains, is beckoning visitors to discover their beauty. The Sapodilla Lagoon is nestled in a tropical setting of lush palms and giant mangroves, offering refuge to all mariners cruising the western Caribbean. The entrance to the lagoon is located between two spits of mangrove that overlap each other in such a manner that it is completely protected from the prevailing easterly winds and the Caribbean Sea. 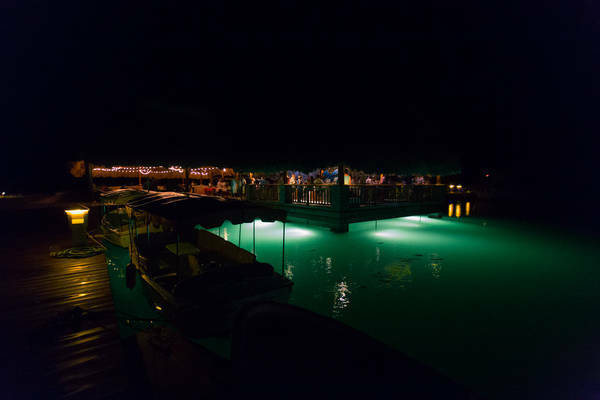 The Lagoon is regarded in the Yachtsman’s Guide as one of the best “hurricane holes” in all of Belize. It is approximately two miles long and ½ mile wide. 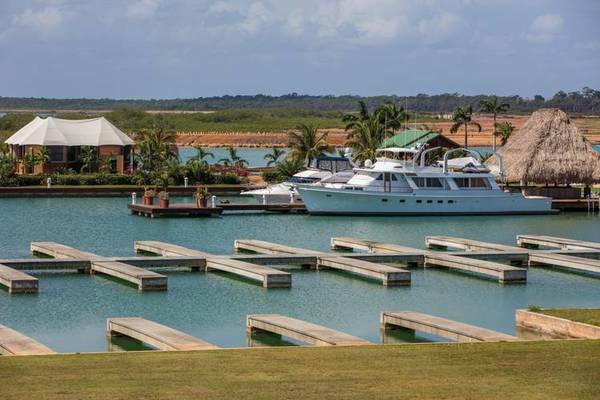 In order to enter The Marina a yacht must cross the northern end of the lagoon in a well-marked deep water channel and proceed through a deep water cut for almost ½ a mile. 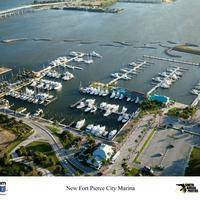 The entrance channels and the marina basin are dredged to a minimum of 12 feet. 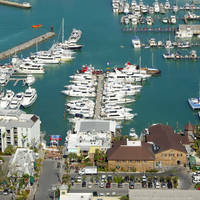 The entire marina and channels maintain a 12ft minimum depth at low tide. Latitude 16.784064125155 Longitude 88.3053115086258 to the entrance. Well marked Channel. Stay in center of Channel, giving the southwest point of the entrance a wide berth and ample clearance due to shallow water around that point. Once rounding that point the Channel markers are easily recognized and marked. 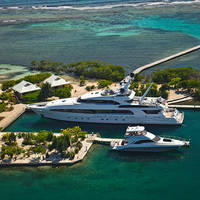 Captain Keith, glad to hear you enjoyed visiting our Marina and amenities, we hope to see you again soon!